Science in the Middle ages was called knowledge. During the medieval period, any knowledge that was gathered by observation and logical thinking all fell within the term science. And during those time these people are curious enough about why the sun, stars, and the moon exists or developing the teachings of logic and mathematics. Let’s take a look at the people who paved the way for science and changed the world. Ibn Khaldun was an Arab sociologist, economist, demographist, and historian. He is the first man who recorded the various accounts of any particular event in history. He is known for writing the al-Kitabu I-ibar or his history of the world. It was originally meant to cover the history of the Berbers but Ibn Khaldun eventually expanded it and included the rest of the world and his insights into Arabic morphology and syntax. And his works were hailed as the greatest work of its kind that has ever been created by any mind in any time or place. Leonardo Da Vinci was an Italian polymath whose areas of interests included science, music, astronomy, botany, writing, history, architecture, and engineering. Da Vinci has contributed a lot in these fields especially in natural science. He wrote treatments on subjects like botany, engineering, and geography. Da Vinci is a man whose studies and knowledge were both extensive and deep. Roger Bacon was an English philosopher who as an early advocate of study through empirical observation. He took advantage of the developing opportunities for learning and he spent most of his life studying before deciding to teach later in his later life. Roger Bacon also helped in the foundation of the scientific method. He wrote broadly in different fields such as astronomy, physiology, mathematics, and even alchemy. He wrote a paper about the place of philosophy in theology and Bacon’s works that were used, Tomas Aquinas. Bacon also wrote about how the human body is a variety of animal and it could be studied such as. Avicenna was a Persian polymath. 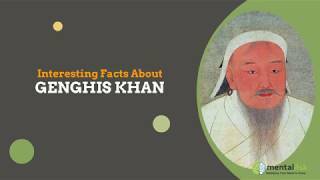 He is considered as one of the most noteworthy astronomers, thinkers, and physicians of the Islamic Golden Age. He is also known as the father of early modern medicine and he has written a total of 450 books but only 240 of them survived and the majority of them are about philosophy and medicine. Avicenna’s works includeThe Book of Healing which is a philosophical and scientific encyclopedia. And the Canon of Medicine which is a medical encyclopedia that became a standard medical text during the medieval times. Besides his remarkable books, Avicenna also wrote about geology, astronomy, psychology, mathematics, physics, and alchemy. St. Thomas Aquinas was an influential jurist, theologian, and philosopher. He had great respect for Aristotle but he looked down upon other philosophers who he thinks does not grasp the concept of God. However, he is best known in the history of Western philosophy by agreeing with Aristotle’s “heretic” reasoning. His most important works include the Summa contra Gentiles and the Summa theologica. Ghazali or also known as Algazel, was a Muslim philosopher, theologian, and jurist. He is known by other Muslims as the greatest Muslim after Muhammad. He made significant contributions in the development of Sufism and its acceptance and integration in Islam. Paracelsus was an European chemist during the 14th century. He was known for making great advances in medicine, botany, and the periodic table of elements. He was also the first person wo used chemicals instead of herbs in making medicines. Paracelsus was also the first scientist to propose the concept of unconscious. Khwarizmi is known for inventing algebra. In fact, he named one of the operations he used to solved quadratic equations, al-jabr. And the word algorithm was derived from the latin translation of his name, Al-Gorithmi. Khwarizmi is also known for publishing a book on mathematics entitled Al Kitab al-mukhtasar which contains procedures on how to calculate numbers from law to businesses. The book is known to be one of the earliest textbook with practical applications..
Paul of Aegina was a 7th century Byzantine physician that wrote an enormous encyclopedia entitled Medical Compendium in Seven Books. The book contains several medical procedure such as c-sections process that’s why Paul of Aegina had midwives who consulted him frequently. His work had influenced the top physicians in the Arab world. Also known as Albert of Cologne, St. Albertus Magnnus was a German Catholic Dominican friar and saint. He is known for preserving Aristotle’s ideas in which he commented on frequently. St. Albertus Magnus compiled his works into an enormous thirty-eight volume encyclopedia which became popular among other scholars at that time. Averroes was Muslim philosopher who wrote about Islamic jurisprudence, linguistics, medicine, astronomy, theology, and physics. He was also known for having insightful commentary about Plato’s Republic, Avicenna’s Cannon on Medicine and translating several works of Aristotle into Arabic. In the middle ages, knowledge slowly became a power because more and more concepts were established and questioned. The curiosity of these scientists led to discoveries that changed our world.